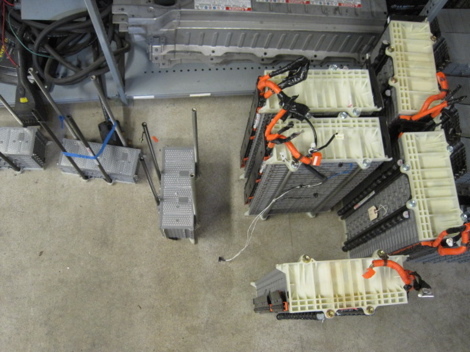 Rebuilt HV Battery Packs – Toyota Prius Hybrid et al. 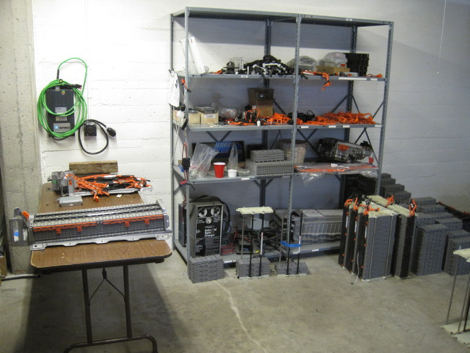 THIS BLOG IS OBSOLETE: read the latest here: Prius Battery Rebuild: Yes or No? Rebuilt HV batteries for the Gen 1 Toyota Prius are a convenient and cost-effective alternative to brand new. New ones cost $2299 list (which is a pretty reasonable IMO), but when you add up tax (9.5% in our dear city) and four hours in labor ($480 at LG; other shops/dealers will surely vary), you’re looking at three grand out the door. You know what you’re getting (the same thing you had) so life expectancy should be nearly the same. 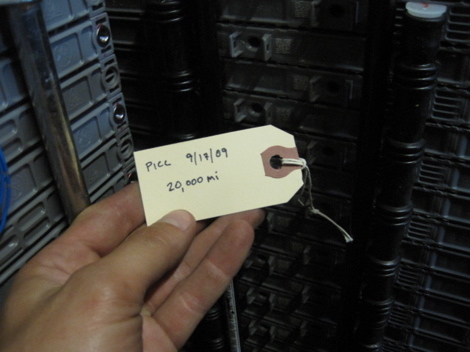 In our experience with *genuine* failures—cars that actually needed a pack, not just a wire harness (read the blog about P3030) or a cleaning (read the blog about P3009)—the probability bell curve peaks at 150,000 miles, tapering off in both directions. 1. 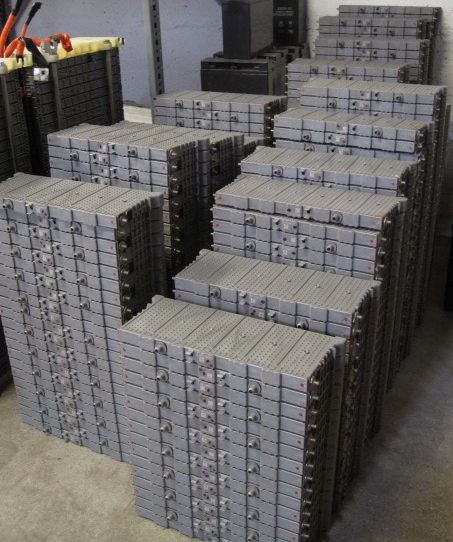 Rebuilt packs offer a significant cost savings. We sell ours for $1500 (38 modules at $36/each and a new sensing harness for $120); with tax and six hours labor (two additional hours to cover the building process, which is therefore untaxed) the repair comes to $2361. That’s over $600 less, which is real money. 2. 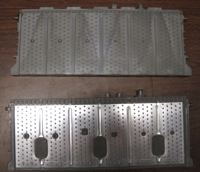 The modules come from young Gen 2 Prius (sourced from early totals or plug-in conversions) which have an upgraded design over the original Gen 1 module (pic: metal sided is Gen 2, all plastic is Gen 1) with better heat dissipation and lower internal resistance. The difference is evident in the cars we service: all Gen 1s will have an HV battery failure; Gen 2s rarely do (despite many with very high mileage). Thus, though the price is lower and the batteries are second-hand, we expect the rebuilt packs to last as long if not longer than the originals. For most Gen 1 owners, this confidence combined with the cost savings will drive the decision. All packs are load tested to confirm battery health, and the results are included in the work order (learn more about battery testing here). If I may say so, we build mighty strong packs, with identical performance to brand new units. All of our rebuilds are guaranteed for one year (the same as new from Toyota) but we have yet to have any come back (and we don’t expect them to).